My Creative Writing courses suit children (from about seven or eight years), to teenagers and adults of all ages. Weekly classes take place in Skerries Mills, Donabate Community Centre, St. Oliver Plunkett School in Malahide, Appplewood Community Centre in Swords, and Scoil Mhuire in Howth. Term classes run in blocks of seven or eight weeks from January to March. A new eight week term will begin after that in late March. Children begin attending my classes from about eight years old (seven year olds are welcome if they can write at least one half page independently). Many children attend classes term after term, year after year, building on what they have learned, exploring new material and expanding their knowledge and writing skills. After attending my writing classes for several terms, children tend do extremely well in English in secondary school. Some students have won national writing competitions and had stories published. 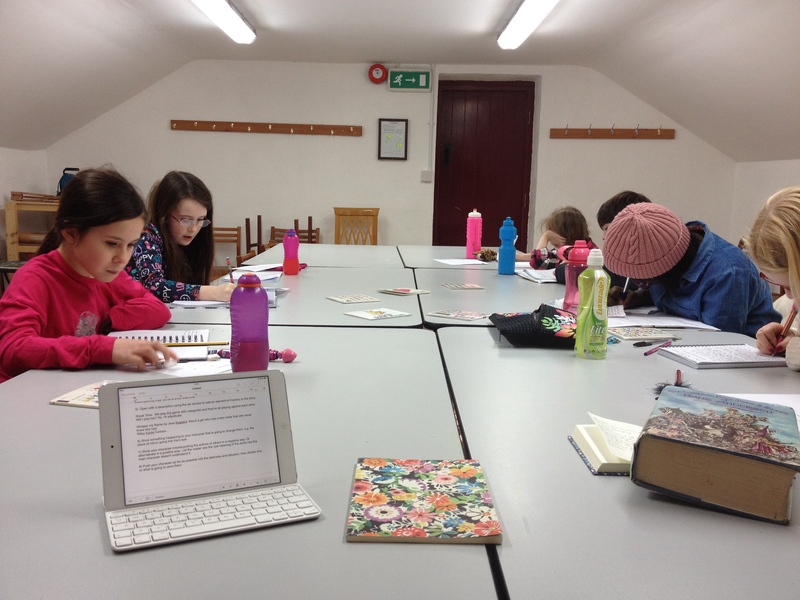 Here is a picture of some wonderful budding writers who took part in my Magical Winter Tales Writing Workshop in Skerries Mills yesterday.